National Foot & Ankle always appreciates feedback from our valued patients. To date, we’re thrilled to have collected 91 reviews with an average rating of 4.89 out of 5 stars. 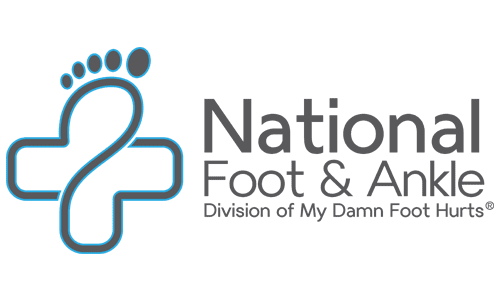 Please read what others are saying about National Foot & Ankle below, and as always, we would love to collect your feedback. I am in better hopes. That I'll get better. Dr. Polun is truly amazing. I am only 21 years old and have terrible bunions and hammer toes on both of my feet (now only one, and soon to be none, thanks to Dr. Polun). I just underwent surgery for my right foot approximately one week ago. Throughout this entire process, Dr. Polun has been professional, enthusiastic and eager to help, present/accessible throughout the entire process, and a GREAT surgeon who gets the job done! I have talked to several other patients of his and I have yet to here a negative remark. Dr. Polun will do his absolute best to achieve success for you as his patient. The forms I had to fill out could have been mailed to me before the appointment. The information asked for dates and meds. Overall the visit was pleasant and comfortable. Would recommend. She was very friendly and helpful with my issues and concerns. I first met Dr. Polun in my freshman year of college. He quickly solved my ingrown toenail problem but soon after he discovered I had a stress fracture in my foot and an MRI showed my ankle which had been operated on (by another dr.) when I was a high school junior was not actually repaired. 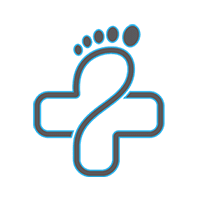 Dr. Polun operated on my ankle, fitted me with orthotics, connected me with a device called a bone growth stimulator, assisted me with laser therapy and an injection to help my fractures heal and continued to help me with frequent ingrown toenails. He also responded by email and phone to all my questions and concerns. I can't say enough positive things about Dr. Polun's excellent diagnostic, surgical and cutting-edge knowledge. My ankle, foot and toe have never felt better as I get ready to head back to college feeling confident and strong. Thanks, Dr. Polun! I have chronic achilles tendon issues and have seen several podiatrists and orthopedists over the years. None have been able to offer much relief. Dr. Engorn took the time to listen and has worked with me to resolve the issue so I can return to previous activity levels. I cannot say enough positive things about him. He is fantastic, especially for runners. Dr. Enghorn is open and informed about treatment options, the possible negative outcomes, as well as the potential for significant symptom relief. Always look forward to a visit, and very pleased with treatment outcomes thus far. Dr. Engorn does an absolutely fantastic job! I haven't seen him in two years, yet he remembered me immediately. Very attentive doctor and nice staff. Highly recomended. Dr Polun is 1 in a million! The best! He is expert, professional, proactive, caring, responsive and really, really good at what he does. He diagnosed me correctly immediately, showed me my x-rays & carefully explained. He provided alternatives and a recommendation. For me it meant surgery; so, I had concerns. I travel & work out. He gave me workable options for both. His staff handled everything professionally and proactively. My surgery went great & recovery has been speedy. I accidentally dumped water on my cast after surgery and he came into the office on his own time to replace my cast, which I greatly appreciated. I am so fortunate to have found him. Always the best service ever. The visit with Dr.Sauer was really good. She took care of my feet is a gentle and thorough way. The only dissatisfaction was the 50 minute wait to be seen. because of her good treatment I choose to stay despite the waiting.. Friendly professional advice from a great doctor. Dr. Engorn my experience at your office was very nice. I felt that you really cared about me and my pain. Thank you very much for your professionalism and that of your medical receptionist. I highly recommend Dr. Polun and his team. He healed my plantar fasciitis in both feet which was amazing with the procedures he used. He is very professional and knowledgeable in his field.